Ankara – The Syria crisis has displaced millions of Syrians into Turkey, currently serving as the world’s largest refugee-hosting country. In response, the UN Migration Agency (IOM) is launching a new framework for responding to the migration crisis. With 3.9 million refugees and migrants living in camps, villages, and urban centres across the country, the Government of Turkey and the humanitarian community have been responding to the vast needs of the displaced by providing essential relief in every sector ranging from education, health, shelter, and livelihoods. Today, IOM releases its “IOM Turkey Migration Crisis Operational Framework (MCOF) 2018-2019”, a two-year strategy and practical tool to improve the way IOM addresses the needs of migrants and refugees and collaborates with government institutions, UN agencies, and non-governmental organizations to better prepare for and respond to the crisis. The MCOF was created in line with the Turkish Directorate General of Migration Management (DGMM’s) Migration Management Strategy, the Regional Refugee Response and Resilience Plan (3RP) and the Humanitarian Response Plan (HRP). As one of the lead organizations on the ground, IOM provides crucial direct assistance to displaced persons and helps coordinate relief efforts among humanitarian partners. The MCOF also provides a way forward for IOM’s approach in linking humanitarian assistance with development efforts. The strategy focuses on methods for delivering humanitarian support; community stabilization; livelihoods; and early recovery programming. These efforts are effectively coordinated with partners at all levels – local, national, and regional. “IOM’s 25-year history in Turkey working constructively with the Turkish Government puts us in a good position to further our collaboration and better the situation for both Syrians and host communities. 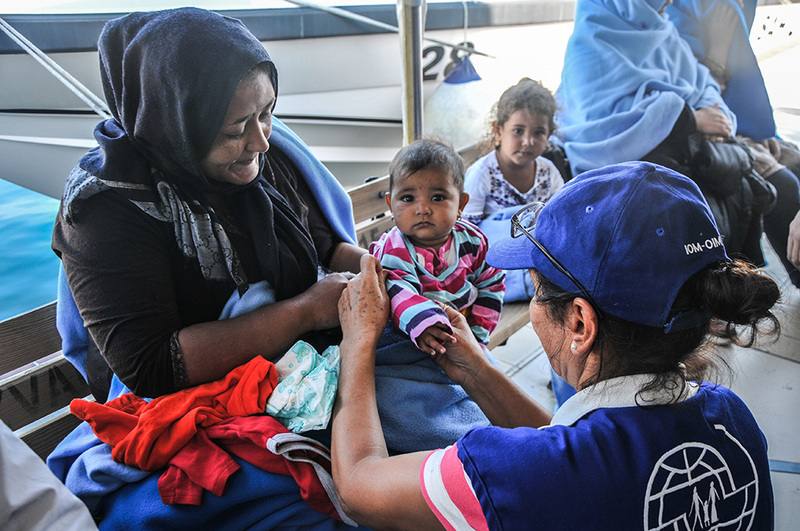 The Turkish Government has shown unprecedented compassion to Syrians and IOM looks forward to our further collaboration in the years to come,” says Lado Gvilava, IOM’s Chief of Mission in Turkey. As the protracted migration crisis transitions in Turkey into one that requires a mid- to long-term response, IOM will look to support innovative and more sustainable programming that empowers refugees, migrants and host communities to create and sustain their own livelihoods, build resilience and encourage community stabilization using the MCOF as a foundation. This approach aligns with IOM globally, which works to better serve migrant populations all over the world by effectively addressing the mobility dimension and consequences of crises.